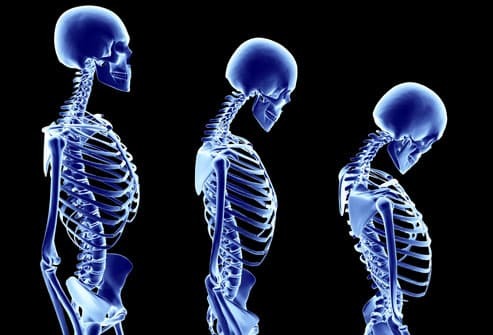 Bone paste could halt the damaging effects of osteoporosis. The non-invasive treatment would use stem cells, which are encased in calcium phosphate microspheres. Although stem cells are capable of regenerating bone, the delicate cells usually die during or after transplantation. The spheres would protect the cells, while allowing them to regenerate the damaged bone. The groundbreaking treatment was developed by researchers with the University of Nottingham in England. Although it has not been tested on humans, the researchers believe the bone paste treatment will reduce fractures in the elderly. Translated literally, osteoporosis means “porous bones.” The disease causes patients to lose bone mass and density. As the bones become fragile, they are easily fractured. Those suffering with osteoporosis commonly break bones during a fall. However, bones can become weak enough to break during regular activity. Broken bones are a specific concern for the elderly. In addition to reducing mobility, broken bones can lead to chronic pain. As a majority of osteoporosis-related breaks occur in the hips and spine, rehabilitation is often lengthy and costly. Canada Journal reports that the bone paste treatment is ideal for osteoporosis. As the treatment would be “quick, easy, and non-invasive,” the fragile bone could be strengthened before fractures occur. Dr. Ifty Ahmed, who led the study, said the bone paste would be delivered to weakened bone through an injection. He hopes the revolutionary treatment will prevent serious injury and improve patients’ quality of life. Ahmed’s findings were discussed during the Regener8 conference, which explores breakthroughs in regenerative medicine. Although the bone paste treatment has the potential to reverse osteoporosis, it is likely to draw criticism from pro-life activists. Stem cells have been proven effective in the treatment of numerous diseases and disorders. However, stem cells remain a topic of controversy. As they are often harvested from human embryos, pro-life activists believe their use is morally wrong. The bone paste treatment for osteoporosis will certainly draw criticism. However, doctors are hopeful the treatment will improve quality of life for thousands of elderly patients worldwide.